If there is any cartoon character that represents my childhood, it has to be Mario. 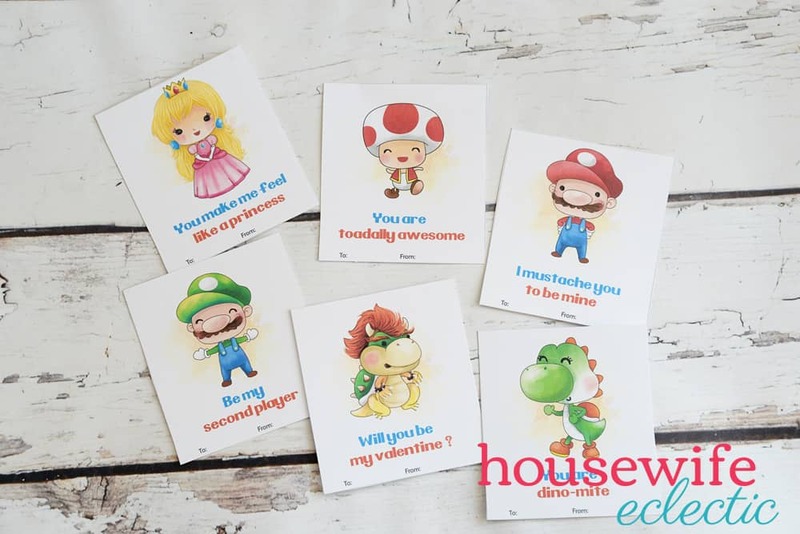 We spent hours as kids beating Super Mario World from start to finish as well as every other Mario related game. 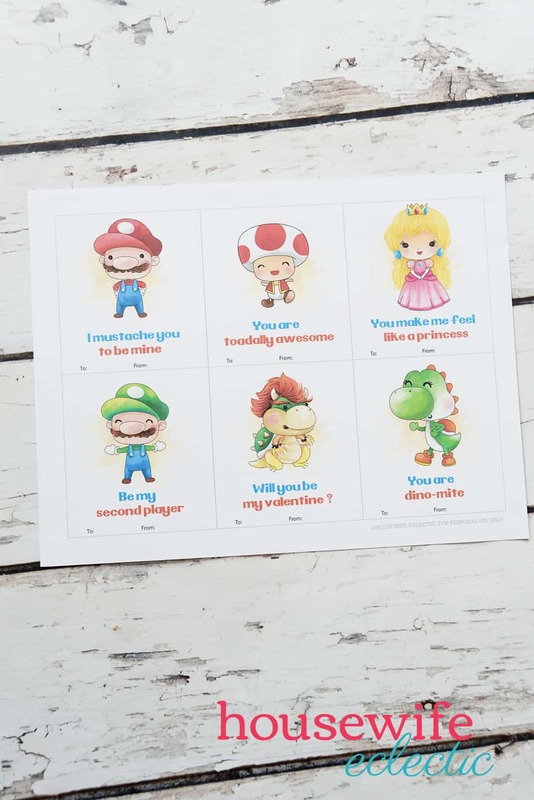 It is a passion that we have passed down to the next generation, so I created these darling Mario valentines for nephews to use this year! 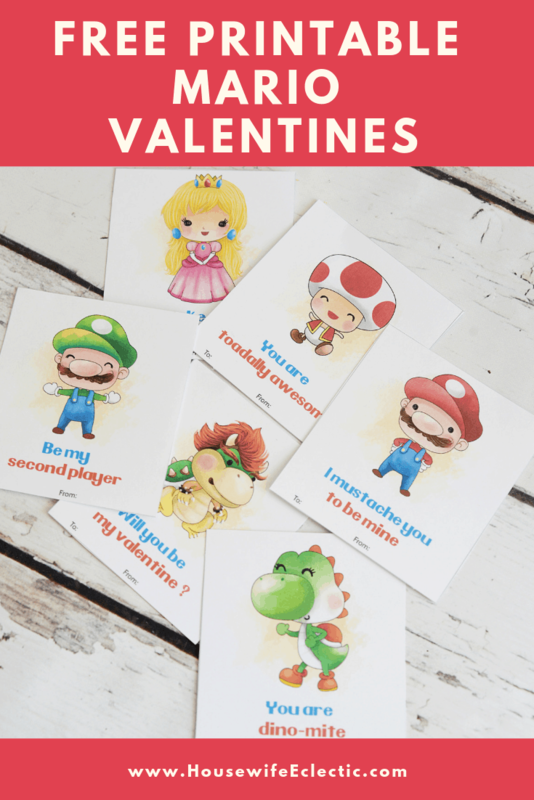 Looking for other fun Valentines?